Energy cooperation has become one of the focal points of discussions during President Medvedev's visit to Denmark. The president said he expects constructive dialogue on a new international treaty on energy security. Denmark's pragmatic approach towards the project has earned high praise from the Russian president at the media conference following talks with Danish Prime Minister Lars Lokke Rasmussen. “I would like to remind you that Denmark was the first country to give its approval to lay pipes. I think this is a sign of wisdom and at the same time pragmatism because there should be nothing of ideology in this kind of context. We should be pragmatic and act in the interests of our countries,” Medvedev said. Business ties between the two countries have also been on the table. The Russian president has urged businessmen of both states to talk directly. “I said this at the business forum and I would like to repeat it again: businessmen should have personal ties. They cannot talk through prime ministers or through presidents. They should come together and talk to each other directly,” Medvedev said. 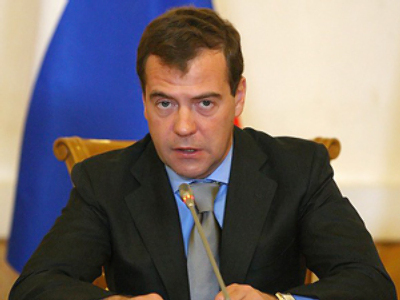 Dmitry Medvedev pointed out that Russian–Danish economic relations have successfully withstood the challenges of the crisis. “Despite the crisis we managed to preserve what we have accumulated over the past few years. Perhaps, this is one of the most successful examples of how we were able the overcome the crisis because our trade turnover decreased by only 13%,” he said. 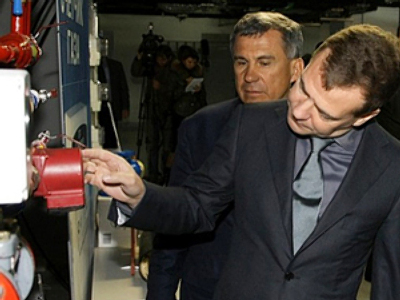 Medvedev reminded, however, that it is no time to relax. Closing the news conference, the leaders answered questions from the media. Responding to a question about the issue of human rights in Russia, Dmitry Medvedev pointed that the country is ready to openly discuss the issue. He stressed, however, that Russia does not need external support in tackling such problems. In turn, the Danish prime minister expressed his concern over the killing of journalists in Russia. "I noticed that progress was made in that direction,” Rasmussen said. “But I also said that Danes are concerned over the murders of journalists which have taken place in Russia. I expressed my wish that these cases be investigated and those guilty brought to justice." Medvedev stressed that all grave crimes committed for professional reasons, including the killing of journalists, should be properly investigated. Commenting on a question about the real balance of power in Russia, Dmitry Medvedev said that it is the Russian people who govern the country. "Russia is controlled by the Russian people, rather than by Medvedev or Putin or anybody else," he told journalists. Medvedev added that under the Russian Constitution, it is the president who appoints the government and the prime minister. “We have a presidential republic, and hence we have a strong president and a strong government, and each of these bodies have their powers, unlike the United States, where all decisions are taken by the White House," he said. Wednesday was a busy day for the Russian president. Along with official talks, he paid a visit to the campus of Copenhagen University. There he looked at the Green Beacon, the first eco-friendly office building in Denmark. The cost of the three-story building, which houses the science department of the university, is estimated at about $7.4 million, Itar Tass news agency reported. The house does not emit greenhouse gases into the atmosphere and autonomously generates its own energy. The Green Beacon inspired the Russian president to construct a similar building in Russia. He added that a future house might be placed on the grounds of the Skolkovo Innovation Center. 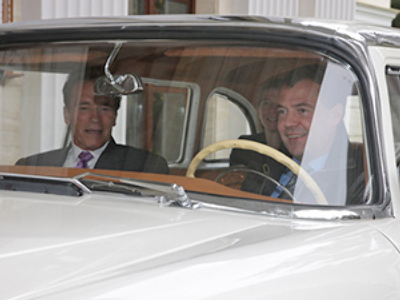 During his visit to Denmark, President Medvedev also got very excited about bicycles. He said it would be nice to see more bicycles in Russia. “The bicycle culture in Denmark and other parts of Scandinavia and northern Europe is very much developed because gasoline is very costly and it’s a very ecologically-friendly way of transportation. I hope the same could be introduced in Russia,” Liborius said.